Vesalainen has been in excellent form totaling 19 points in 16 games after World Junior Championships. He didn’t have points against Ässät but he saw over 21 minutes of ice time and he was eager to use his excellent shot collecting seven shots. Vesalainen has always excelled in physical side and skating and that hasn’t changed. He is really good at using his body and he is extremely difficult to beat in board battles. Also his skating has taken one more step forward. His acceleration and agility were impressive for big player already before, but his top speed has taken great strides and now that part is clearly above average for this level. Before his decisions with the puck were concerning, but he has learned how to play pro game and nowadays he plays more simple game and uses his linemates lot better. His hockey sense off the puck has always been good and he is involved in the game much more often than he’s not. The forward has progressed nicely and he is already one of the most dangerous forwards in Liiga. If anything, his playmaking abilities are not on the level with other qualities. His hands are decent, but together with big body he is very good at protecting the puck. He also has excellent work ethic, he is efficient in checking and he is defensively sound and this is probably the reason why he already plays in penalty kill despite being just 18 years old. Overall, he is excellent player for a player of his age. With this level of play he definitely could have a chance to play in World Championships unless he moves to North America right away after regular season. Vesalainen was the best Finnish forward after Joni Ikonen in a game against Latvia. He collected impressive four points and now he has eight points in just three games. Vesalainen has looked like a man among boys but Finland has played against weaker opponents so far. Forward likes to carry the puck often but I don’t think that style of play will translate into pro game. At the moment Vesalainen successfully protects the puck with his body but he doesn’t have enough top speed or good enough hands to be as efficient when he loses his physical advantage against men. Already at this level he loses the puck relatively often when he carries it. That causes turnovers and one of those eventually led to Latvia’s goal. His hockey IQ with the puck is questionable. However Vesalainen has enough interesting assets. He has the size, he can play grittier and more physical game, he is agile for a player of his size, he has above average yet not excellent shot and he has excellent work ethic. He is one of the first forwards to help the defense and he positions well without the puck. Also he has shown ability to give occasional creative and sharp pass though I would like to see that part of his game much more often. I think Vesalainen has pretty high floor and he should be relatively safe bet to become NHL player in the future. However I don’t think that he has the upside of becoming top six winger. Vesalainen made his first goal in Liiga in his 9th game with HPK. Forward is an inquiring prospect due to combination of size and speed. He likes to carry the puck to the offensive zone but he also loses the puck often while doing so. While Vesalainen does have fairly good hands, it is an area which could use improvement especially if he doesn’t start playing simpler and quicker game in the future. 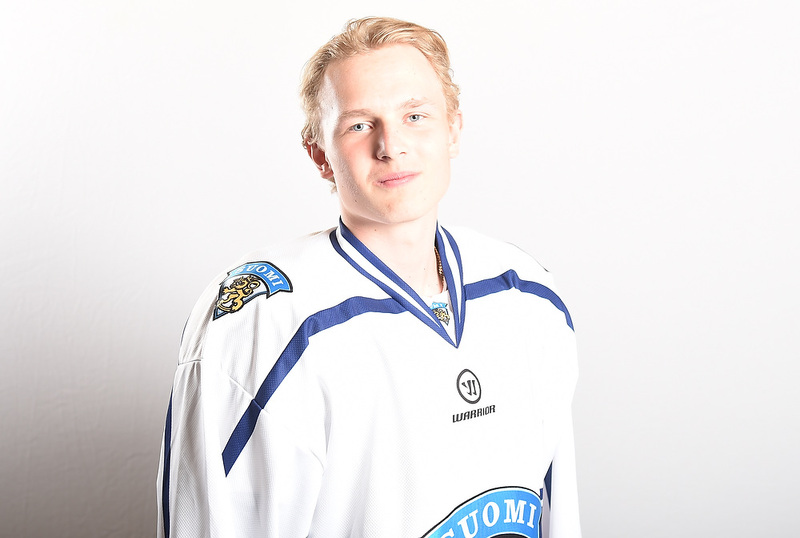 At the moment he looks like a player with a lot of good tools but who hasn’t been quite able to put it all together which is likely the reason why it took nine games to get first point in Liiga despite getting a lot of ice time. However Vesalainen is hard worker, plays solid passing game, forechecks well, doesn’t shy away in physical battles and is impressive at the defensive zone for a player of his age. His offensive talent most likely prevents him to become elite player but he should have bright future ahead in two-way role.